This week, compose your subject off-center, obeying the Rule of Thirds. It’s beginning to look and occasionally even feel like spring, so going to see the sea on a beautiful, though windy and somewhat chilly afternoon seamed like the thing to do. The afternoon almost became evening by the time that I was actually out, but the perspective of taking a nice, quiet drive – maybe even a walk if the weather allowed it – thinking of nothing and just stare at the scenery was too attractive. I had the sea on one side, the sun setting over the town on the other, but it struck me how instead of clearing my head and taking in the view, my mind was preoccupied with something else. I was looking for a good place to park and take a few shots of the sunset… or maybe I should just go on the beach… no, the sunset and the trees are a better choice, who knows, that way I could even come up with something suitable for the photo challenge. Or maybe I could just look and see – actually see – the beautiful images I was looking at. It took getting out of the car and shivering in the cold wind to come up with that ‘revolutionary’ idea, while my already frozen hands were searching for the phone. The bag went back on my shoulder, my frozen hands went into warm pockets and I went back to that old habit of watching, seeing and perceiving everything through my own eyes, not through a camera. More and more often we need to see reality on a screen in order to perceive it… You know how it is, you notice something, you have a small revelation of your own, and then you can’t help noticing all the manifestations of said idea. I was clearly not the only one willing to brave the cold wind for a few cute photos; in fact, my stubbornly not taking any pictures was making me feel a little bit out of place amongst the people out for a walk by the beach in the early evening. I hurried back to my car and turned up the heating. I would just stay there for a while, in the warm comfort of the metal shell and stare at the view, at the waves, at the sand, at the sky and think of nothing – just a little bit of ‘me and the sea’ time. No photos, no phone, no camera, just my own eyes 🙂 I have countless shots of seas and sunsets, many of them taken in a hurry – having had only a moment to stop, I had more and more often used it to take a picture at which I would look more carefully later, when I’d have the time. So I could certainly take a break from that sort of behavior I had adopted without even noticing it. There’s more to this day than cards, flowers, chocolates, heart-shaped knickknacks and all sorts of gifts that make us feel wanted and appreciated. Not that they are completely irrelevant – much like the day itself, they are a reminder that a certain feeling, a certain human emotion should be cherished and celebrated once in a while! (And hopefully there’s a little bit more to that feeling than 50 Shades of Grey 😉 ) So I hope that today you get to enjoy a few special moments with someone you love, either face to face or at least hearing their voice on the phone. Happy Valentine’s Day to all of you and to the people you love! This week, share an image that highlights a size relationship — make us pause and take a second look to understand the scale of the elements in your photo. And now for something from this decade… It’s interesting to see how all those things so important to us can at time seem so small and insignificant, if perceived from a distance, within a larger picture. This week, share with us your take on “depth” — you can take it literally, like me, by showing something (a dense forest, your lawn after a blizzard) that suggests volume, a distance between surface and bottom. Or go with a more figurative approach. I have a little something for all of you, just to say ‘thank you’ for reading and considering my thoughts. 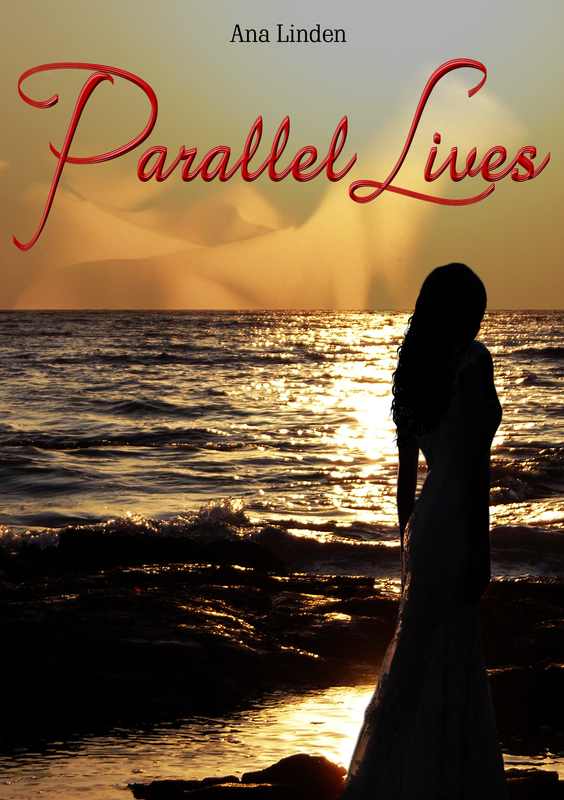 All I can give you right now is a book – I wish it could be more… Last year, just before Valentine’s Day, I created a coupon for everybody who wanted to read Parallel Lives and find out how Amalia’s (love) life would evolve. With the risk of seeming repetitive, I’m doing the same this year, I’m making it a tradition 🙂 So feel free to download the book as many times as you want or send the coupon as a cute gift to any of your friends! This week, show us your interpretation of serenity. No matter where I go, I always find peace and solace by the water. That’s where all those storms of thoughts, worries and fears in my head quiet down for a few moments, allowing for a deep breath, hope and a fresh perspective. We can’t escape the shadows in our lives, no matter what we do, no matter how nice a moment might be… But a little perspective does help us see everything else there is, aside from dark shadows. Whether you live on my side of the planet or in the Southern Hemisphere, enjoying real heat on the beach or in your yard, show us your take on warmth. It’s Christmas – you cannot forget it for a second, given the hustle and bustle of people trying to purchase anything and everything that isn’t nailed down – and like everybody else, I keep thinking and obsessing about what I want. After all, what else is there to do every year in December, other than be frustrated and angry with yourself for all those things you so desperately wanted and needed and yet you haven’t been able to offer yourself or your dear ones? I need a break this year. And the reason I know this is because I had a little, insignificant revelation of my very own this year – for the first time, I had the chance to offer myself something I wanted for so long; and that was the moment when I stopped, I took a deep breath after a heavy moment of panic and I was able to admit it was not what I wanted after all. Because what I wanted was what I actually had all along. In that particular case, it was a new apartment I thought I just had to have in order to feel good about myself, so I could derive some deep and lasting feeling of fulfilment regarding my life. Pen in hand, about to sign the contract, I finally acknowledged the fact that I was about to obtain a collection of nice walls in a new and trendy neighbourhood at the price of giving up my home. Yes, my own apartment, the one I had been living in ever since I was a student, was smaller, the building was older and somewhat duller, it didn’t have much of a view; but it was a home, one that represented me down to the last nail in the floorboards. I both loved and hated that place over the years – initially, it had been a symbol of freedom; then it became an obsessive reminder of all that I wanted and could not have, the exquisite view, the spacious rooms, all those things I grew up with and ignored as a child, all those details which became important only when I stopped having them. I had been so adamant about wanting to have more – after all, it’s shameful to settle for what you have, isn’t it? – that I failed to notice that I actually liked the home I already had, the one in which I had invested so much over the years, the one which was ‘me’ from all points of view. I opened my eyes and my mind and noticed that my home was also my refuge, a place of peace and safety which never failed to provide me with the tranquility I needed, in spite of some of its shortcomings. And the neighbourhood had actually become one of the nicer ones, not at all the way it was when I moved there; and yes, I wasn’t fond of my neighbours, but most likely I wouldn’t have been too impressed with my potentially new neighbours either. So I spent that afternoon at home, for once appreciating what I had, instead of only focusing on the ‘more’ and the ‘better’ that I felt compelled to want. I deleted the numbers of all the real estate agents from my phone, and not because I had decided to never change my apartment. I will move, but only when I know I like the new place better than the old one, and not out of misguided ambition dictating what I should want. So what do I want for Christmas? Do we ever really know? Do we ever really know before getting it and realising we never needed or desired it, because it doesn’t become us? Do we ever really know before obtaining this object of our desires only to set it aside and move on to the next goal, the next thing we don’t have yet, so therefore we want so badly? I’m doing something else this year – I’m digging up all those things I wanted, I got and I forgot to appreciate in my rush to move on, because I’m hoping that there might be some happiness in actually liking and cherishing the reality of our existence, not only the unattainable dream ahead. I will enjoy my Christmas tree, remembering what every ornament means to me, the moment in time and the memory it entails. I will put an amazing gift under the tree for somebody special, because their joy when opening it will make me as happy as any perfect present I might receive. I will put on that black dress I like so much – you know which one, we all have one of them, the one that cost us a fortune and we only wore once, because we think no occasion is special enough for it; I will also put on my favourite pair of shoes – one shall not name names, but it’s that pair a girl never wears when driving, so she wouldn’t ruin them. And bundled up in a warm coat, because the outfit is only meant to make me feel better, I’ll go for a drive and enjoy the Christmas lights in the city, without thinking of all the things I would change. I will also think of those people dear to me that might be away for the moment and instead of falling into depression or despair, I will choose to remember that there’s more to life than the holidays and I will treasure the fact that we will be together on various other occasions. But I will refuse to share my time with any of those persons I do not particularly like, only because this is what one must do or because one should not be alone even for a second on the holidays. And last, but not least, I will remember that not only are there so many people who are happy to have less than I do, but I also used to have less sometimes in the past, so perhaps one can find reasons to appreciate one’s life – with all its failures and accomplishments – after all. This is why I will take a break for a few days, I will want less and I will appreciate more. It doesn’t look like we’re going to have a white Christmas this year here, by the sea, but it certainly isn’t too warm outside either. So this week’s challenge got me thinking of the hot summer days of a trip to Istanbul 🙂 . In case those Christmas lights we see everywhere these days aren’t heartwarming enough, I can only hope that a few shades of gold from summer past might do the trick. In today’s challenge, show us what “gone, but not forgotten” means to you. Beautiful moments stay with us long after they dissolve into the fog of the past. We need to remember them in order to be able to hope and move on. History – both our personal history and that of our civilization – is also a lesson we can never stop learning, a reminder of past mistakes and a source of support at the same time. We found a way to survive the bad, in order to reach those much sought-after moments of happiness. So let’s try and remember this and focus on what we hope to achieve, instead of the obstacles we’re trying to overcome 🙂 . Different styles, different lines, different tokens of various ages and stages that have lead to what we recognize as contemporary life can often converge in charming, refreshing ways. This week, show us an achievement. From my point of view, each and every new place I visit is a personal achievement, every new piece of foreign culture I get a chance to discover is a small victory, something to keep me going while tilting at those windmills embodied by quotidian problems, stress and routine 🙂 . In this week’s challenge, show us your minimalist photos. Find an interesting texture, color, or silhouette. Maybe there is a story that you can tell with your minimalist photo. For this photo challenge, show us what “refraction” means to you. It could be an image taken in a reflective surface, it could be light bent from behind an object, or it could mean remedial math homework: the choice is completely up to you. Lights and shadows always enhance the fascinating experience of a concert 🙂 . This week, we’d like to see an image that looks dreamy to you. A photo of a place you often visit in dreams. A scene that looks a bit out-of-this world. Take us on a flight of fancy! A sign of national pride and tradition – the changing of the guard in Athens and Prague. As you can see, I’ve decided not to take this one ad litteram. Share a photo of what endurance means to you. We had the time of our lives and it won’t end here:-) . After all, we made it this far when nobody thought we would. Happy Anniversary, my dear one! Paying respects to the dead… Paying respects to history… Appreciating life even more!